And when it comes to power the MB-D14 is a real omnivore. 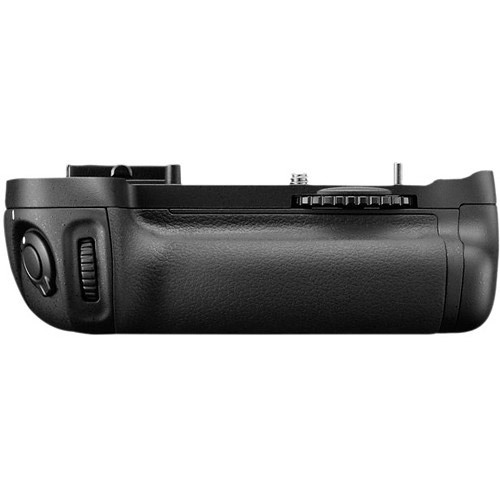 Nikon has provided you with a MS-D14 AA Holder allowing you to use Ni-MH, Alkaline or Lithium AAs, as well as a MS-D14EN Battery Holder for use with EN-EL15 battery. 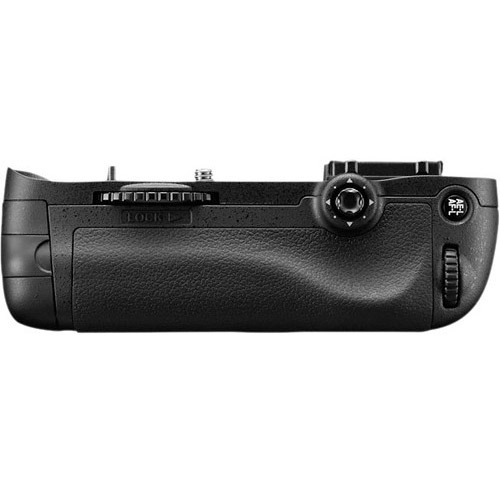 6 AA Alkaline batteries will give you about 450 shots while the optional EN-EL15 battery will give you an impressive 1,800 shots. That's a long time before recharging.